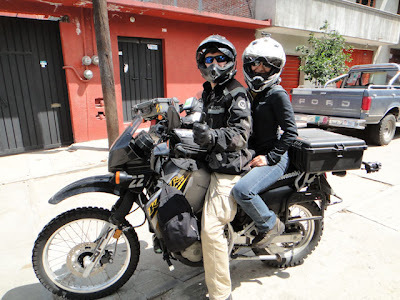 Alex's Motorcycle Adventure Alaska, Mexico, Central + South America! 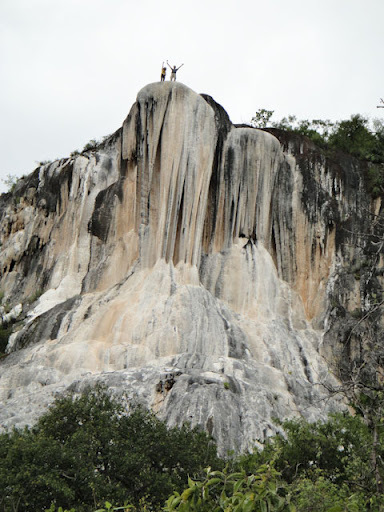 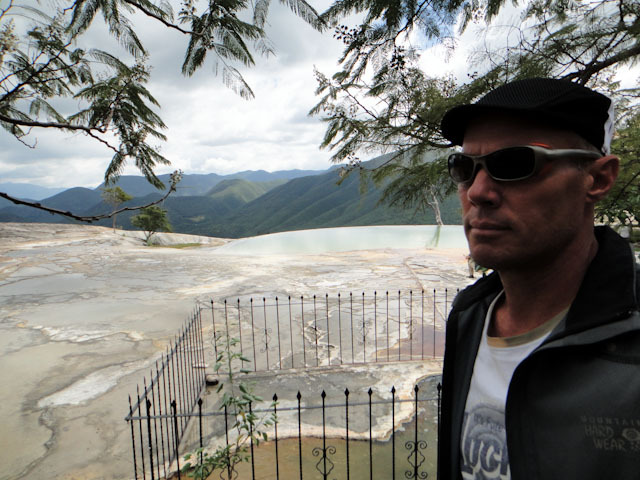 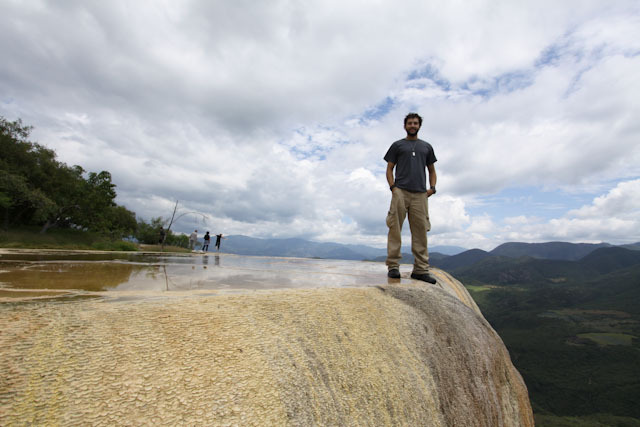 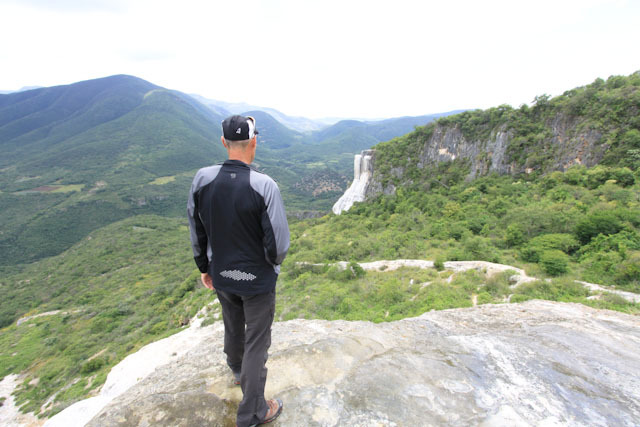 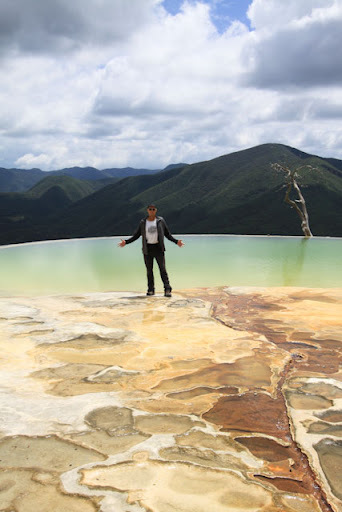 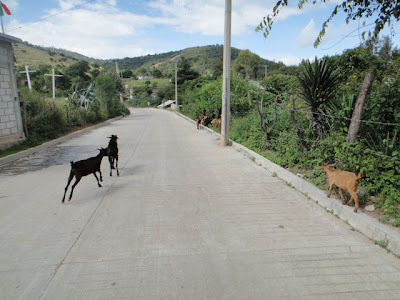 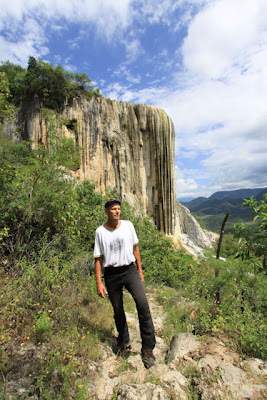 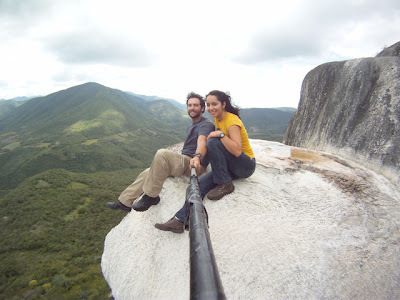 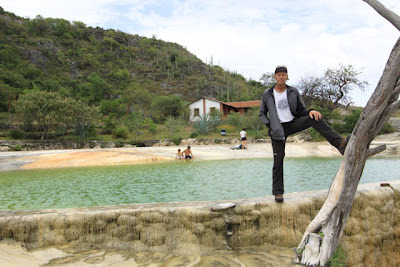 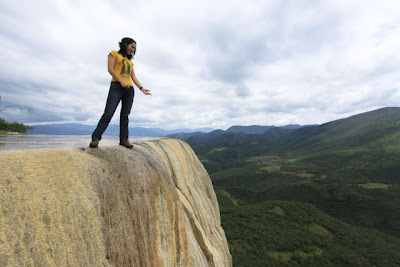 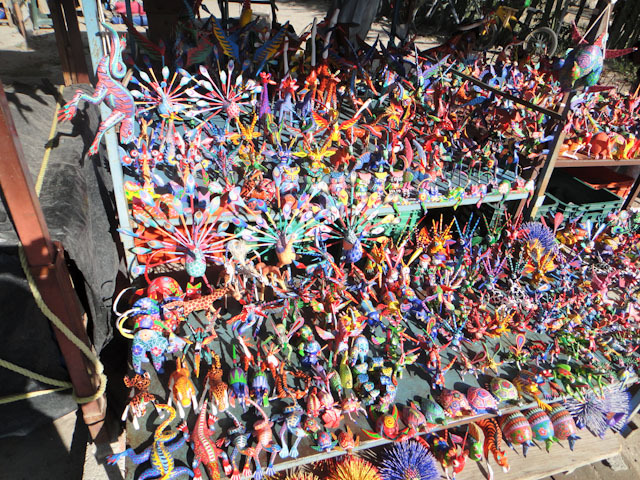 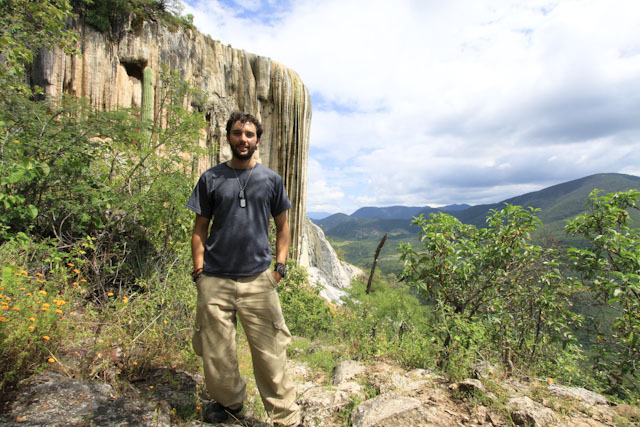 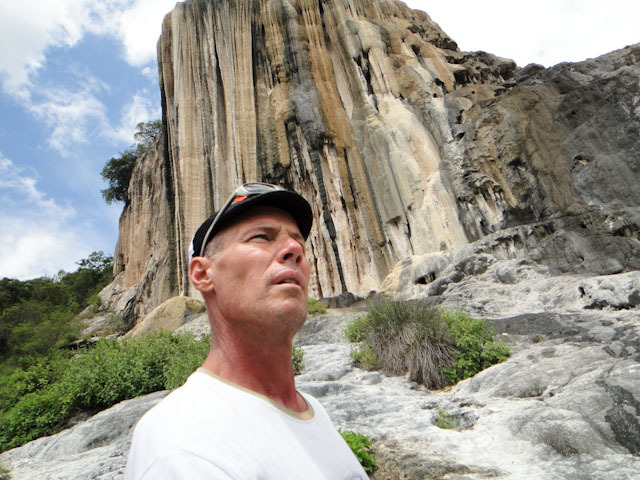 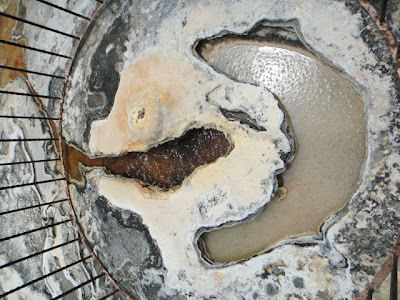 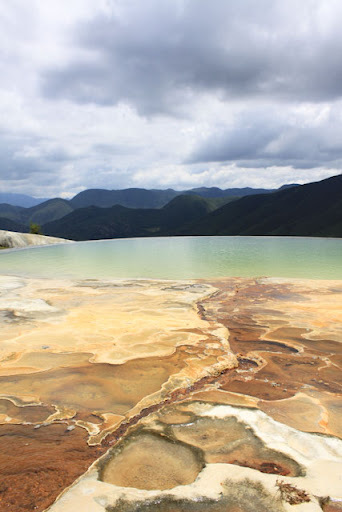 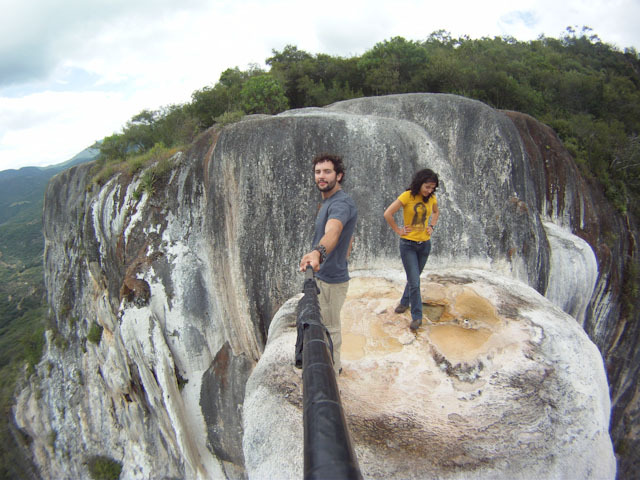 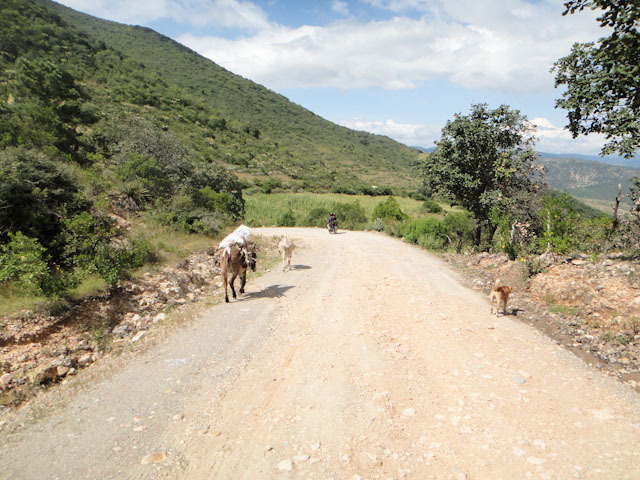 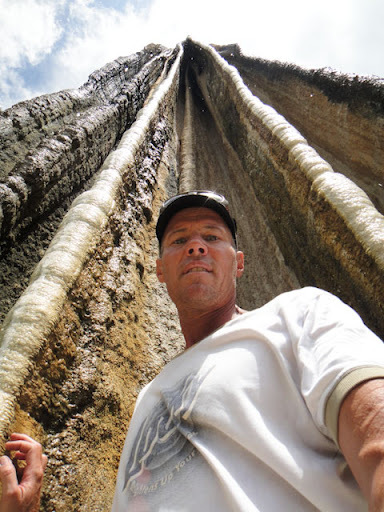 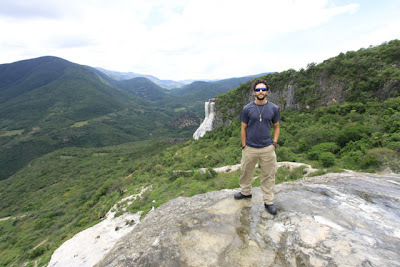 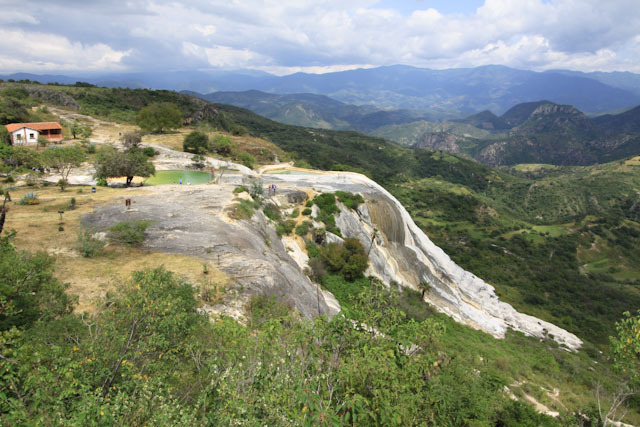 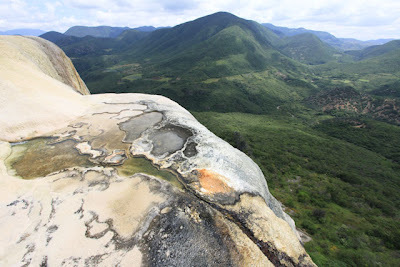 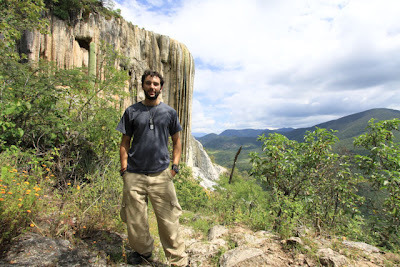 Modern Motorcycle Diaries: Petrified Water Falls – Hierve el Agua – Oaxacan Hospitality! 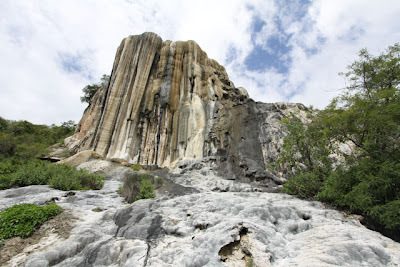 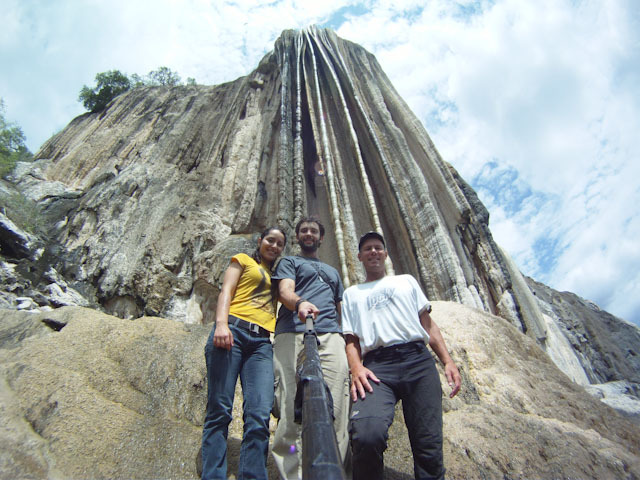 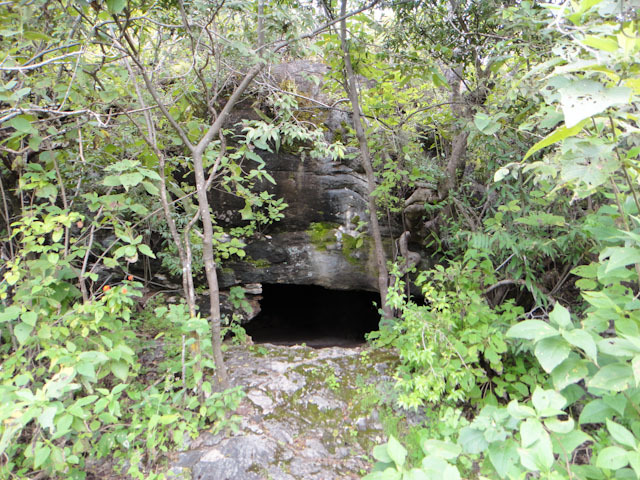 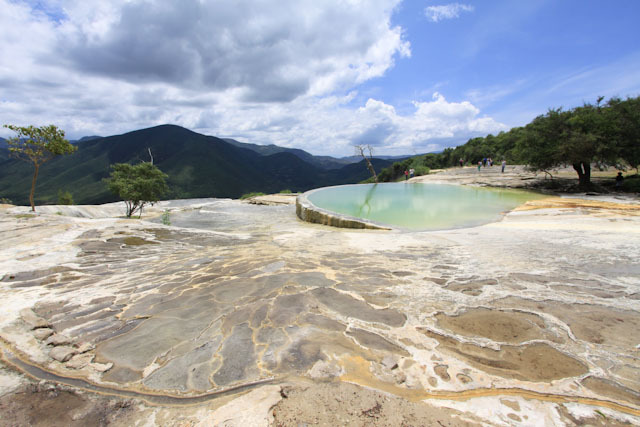 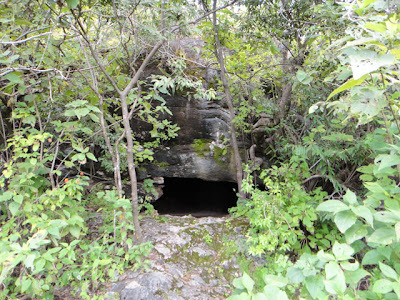 Petrified Water Falls – Hierve el Agua – Oaxacan Hospitality! 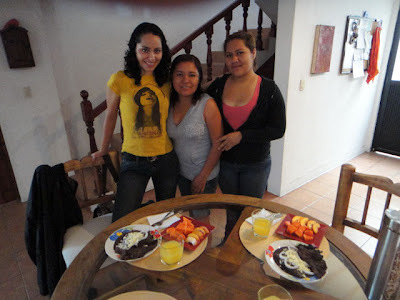 The following morning, Samantha’s room mates were so nice; they made us a typical Oaxacan breakfast. 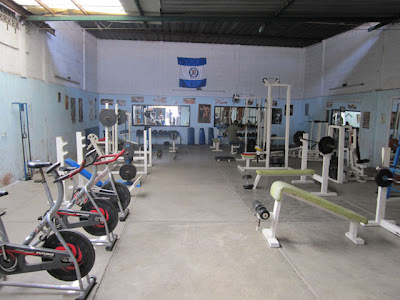 Had a quick workout at the coolest gym ever! 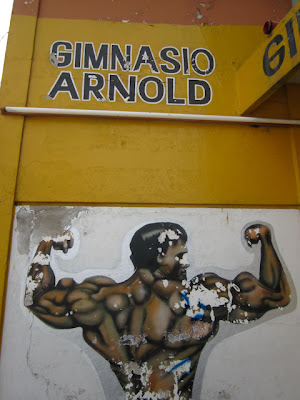 with the newest technologically advanced equiptment on the market! 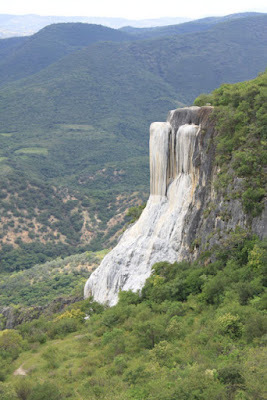 We then headed out to see only one of two petrified water falls in the world. 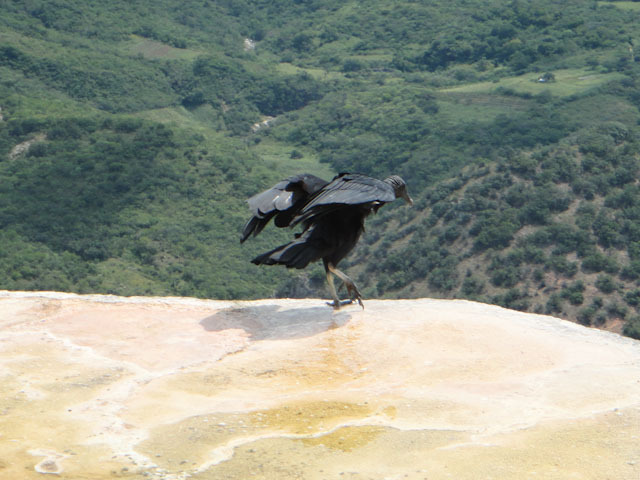 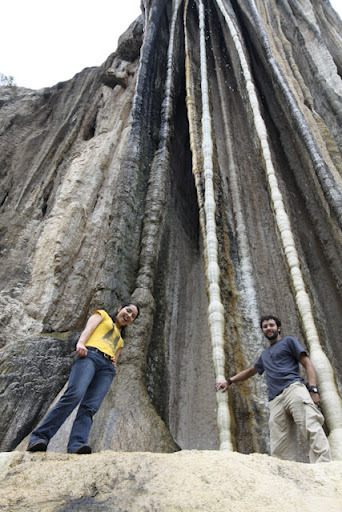 The other is located in Turkey; the one near Oaxaca is called Hierve el Agua. 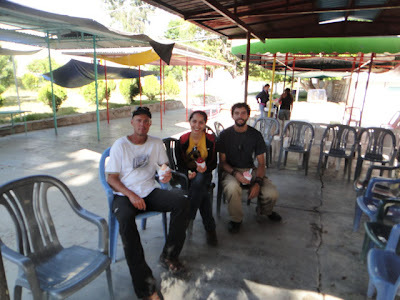 Before heading out David and I locked outselves out of the place and had to sneak back in by climbing the rood back inside. 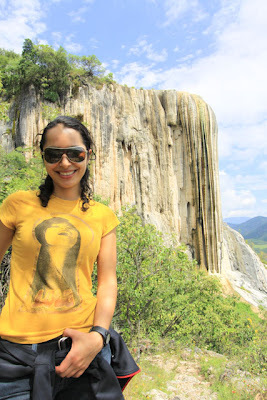 Samantha was nice enough to take us there and be our guide. 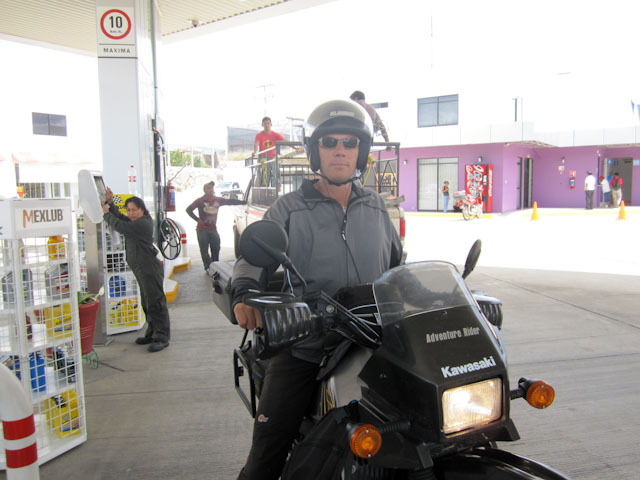 And David got a chance to wear the coolest helmet ever! 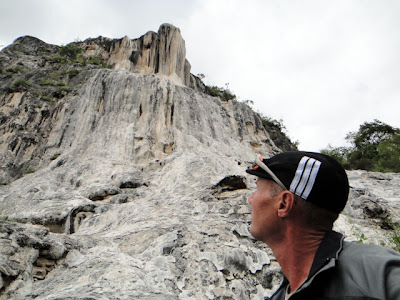 After some crazy mountain driving and my rear brakes blowing out on the way down, which was pretty scary with a passenger, we arrived on pins and needles. The petrified waterfalls are formed by thousands of years of Calcium carbonate depositing on itself, it was amazing to say the least! 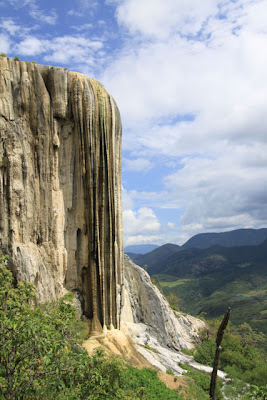 This is definitely on the top 8 unique natural wonders I’ve ever seen in my life. 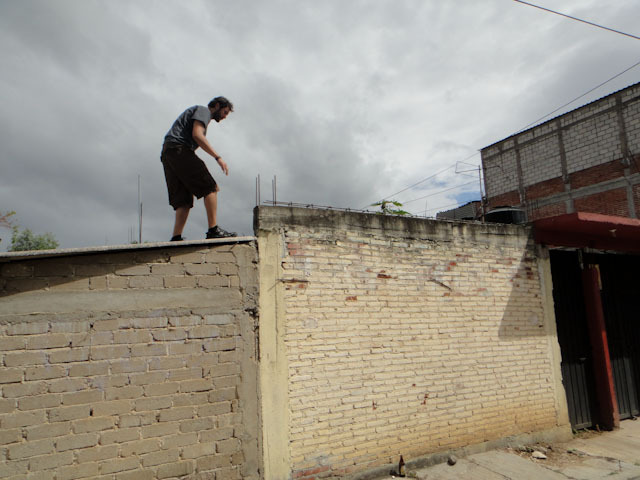 I’ll just put up pictures and this video and let you enjoy. 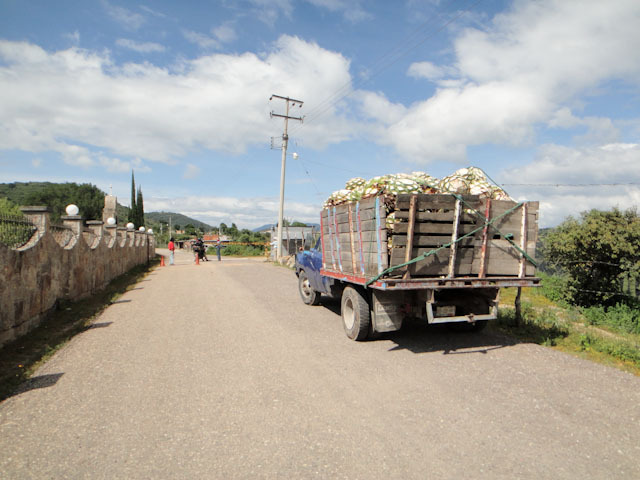 On the way out we saw some mezcal plants being delivered, this is the meca of the alocholic Mezcal drink, just like tequilla. ready for us. 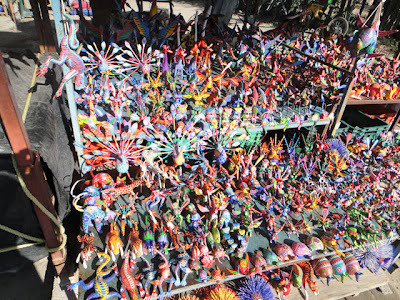 They were truly very kind and generous; something David is continually amazing with the people of Mexico. 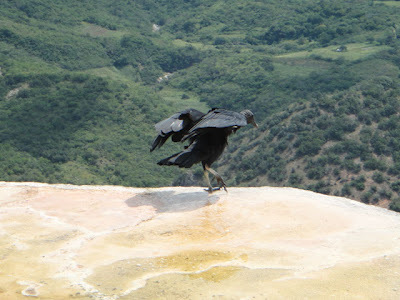 Again I reminded him of the beauty Mexico holds best is that of its/my people. Until next post. Hasta la Vista!